Let’s get something straight. A catchy tagline, symbolic logo, pretty colours that symbolize the ‘personality’ of the brand and a custom designed font are not Nation Branding. 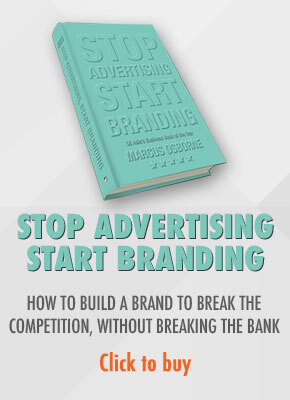 Glossy advertisements that push the creative envelope and consist of content that is impossible for stakeholders to buy into or live up to, is not Nation Branding. Expensive brochures and other marketing collateral that use light gray colours on white backgrounds and font sizes impossible to read is not Nation Branding. Hugely expensive billboards that create awareness but do little else and are soon lost in the fog of the tens of thousands of messages consumers are exposed to every day is not Nation Branding. It might have been possible to use such creative-driven branding to build a Nation Brand in the 1960s – 1990s, when countries and their advertising agencies focused more on getting attention than getting results. But this is a different era. There are now so many channels to consumers, so many competitors all with a similar offering and so many distractions that it is no longer possible to build a Nation Brand in this way. Furthermore, too many taglines have made promises the Nation couldn’t possibly keep or their marketing or PR collateral has left potential customers underwhelmed. This may not have been the fault of the Nation or it may be the result of poor internal implementation but it has resulted in a delivery failure that has negatively impacted all efforts till then. A case in point is the Incredible India campaign and the multiple attacks on women over the last year. Moreover, engaging (not reaching) target markets through traditional channels with traditional tools is virtually impossible today. Especially in the digital age when consumers are more knowledgeable, have more choice and are more demanding. So how do we make the Malaysia Nation Brand successful? Reach, awareness etc are all irrelevant. 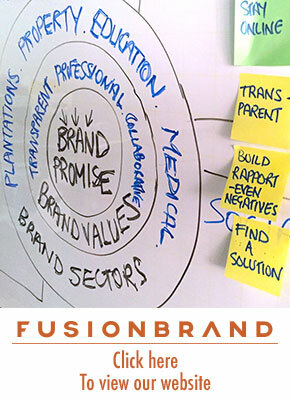 Nation Brands today are defined based on the economic, experiential and emotional value they deliver to all stakeholders. What will make or break the success of the Malaysia Nation Branding project is the work that has gone into determining what are the key elements of the Malaysia Nation Brand. Identifying and understanding what we have, what is unique, who are the stakeholders, what are we are going to do to get their buy in, how we identify target segments, the knowledge we learn about them and their requirements for value and deliver value to target segments (all of whom are very different and have very different requirements for value and must therefore be engaged with content that resonates with them), how we build our relationships with them, how we work with them and provide solutions to their problems. The ability to build lasting relationships with stakeholders, a highly trained team capable of matching country attributes to those stakeholder requirements and the ability to consistently deliver value are required. External communications battles are not fought on the right hand pages of national newspapers, during commercial breaks on terrestrial TV or on the outside back cover of business publications. They are not even fought on the pages of digital media or on corporate websites. The battles for the hearts and minds of prospects are fought in the comments sections of blogs, on third party sites through user experience comments, through account manager emails, forums, search engines and ongoing personalized relationships. If the people responsible for this project can match your Nation Brand to the value customers are looking for, they may have a chance of building a successful Malaysia Nation Brand. I am reliably informed the Malaysia Nation Brand project has a budget of RM30 million. But it’s not known what that covers. If it is simply for a communications campaign then it will not be money well spent and the project will fail. However, if it is for a comprehensive brand audit and Nation Brand plan (which will have been developed once the brand audit was completed and will focus on internal and external stakeholders) that outlines how to deliver value as defined above and based on the “Endless Possibilities” tagline, then that will be terrific use of taxpayers money and the country will benefit for many, many years. Nice one Marcus. Beside carefully defining the brand strategy, the brand audit and planning phases should be highly consultative and have a genuine outreach to individuals who are key stakeholder and partners, as well as regular citizens. We have found that capturing their opinions, feelings and insights are essential to ensure that a place brand is founded in reality. Our experience is that participants feel a greater sense of ownership and affinity toward the brand when it is rolled out and this can be highly energizing. They are also much more likely to enthusiastically adopt, support and use the brand, thus potentially making it much more sustainable, authentic and experiential. Malaysia has a great opportunity.